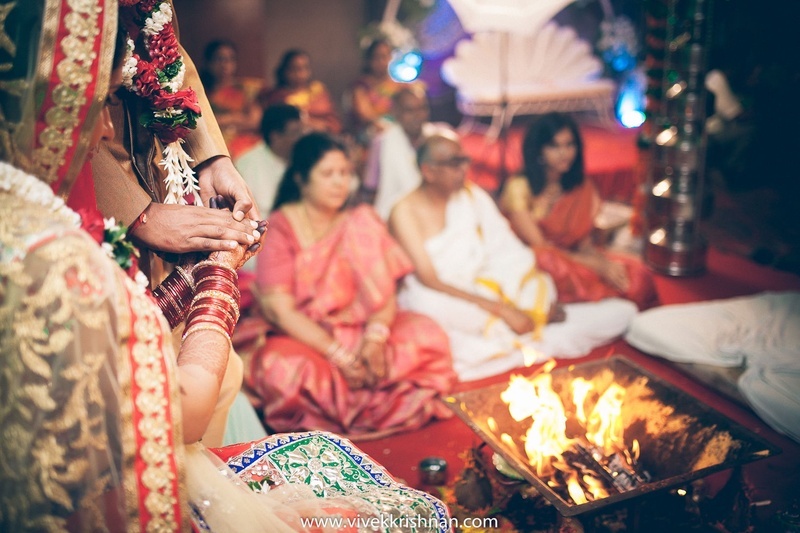 If you want to plan a wedding which is a perfect blend of traditions and style, Vatsala and Adithya’s wedding celebrations are an inspiration! 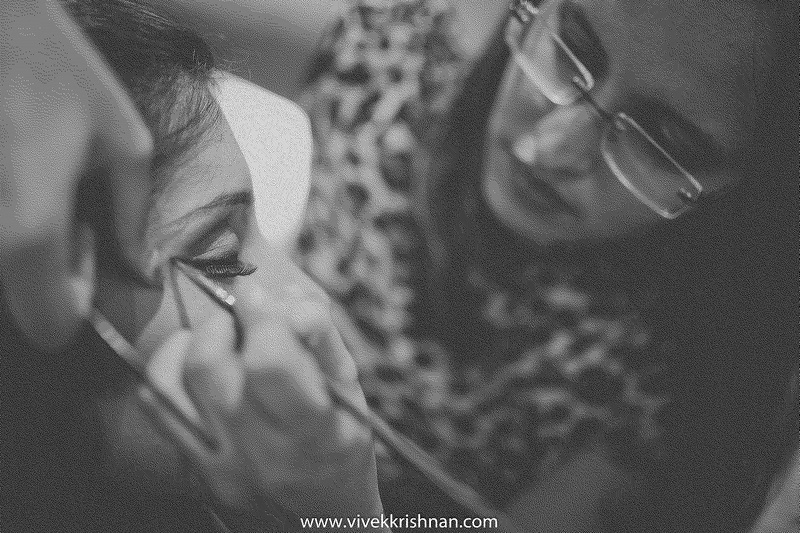 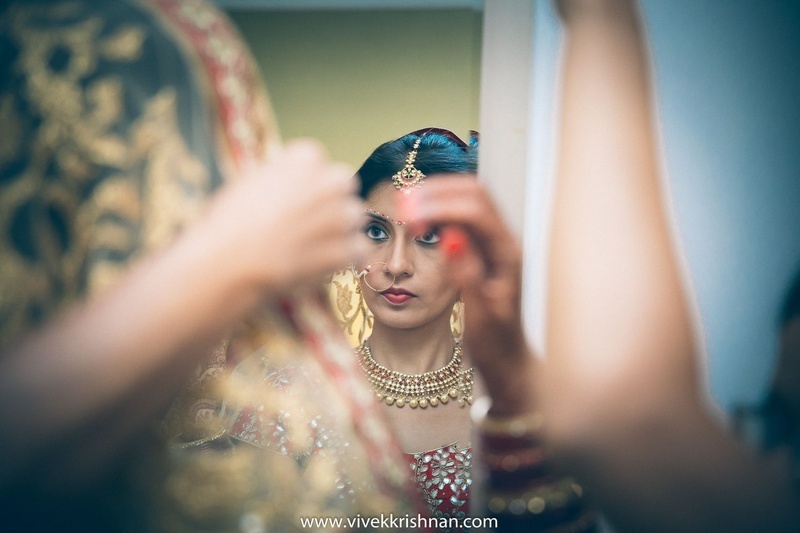 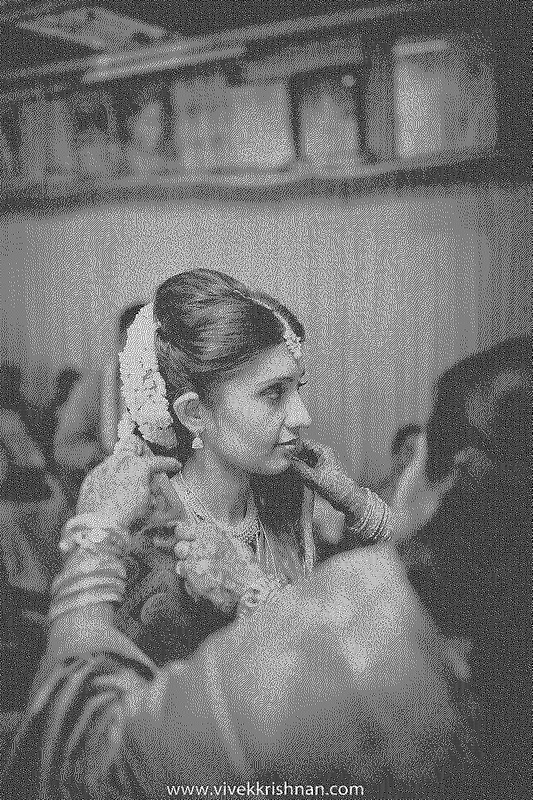 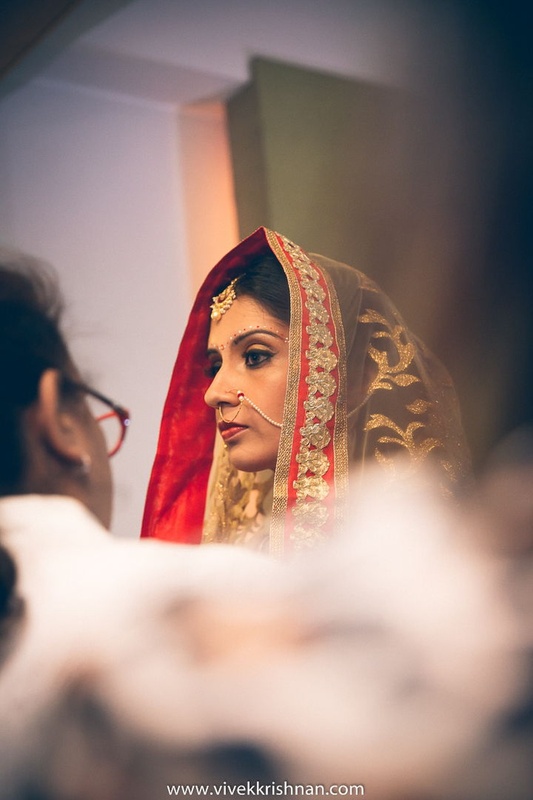 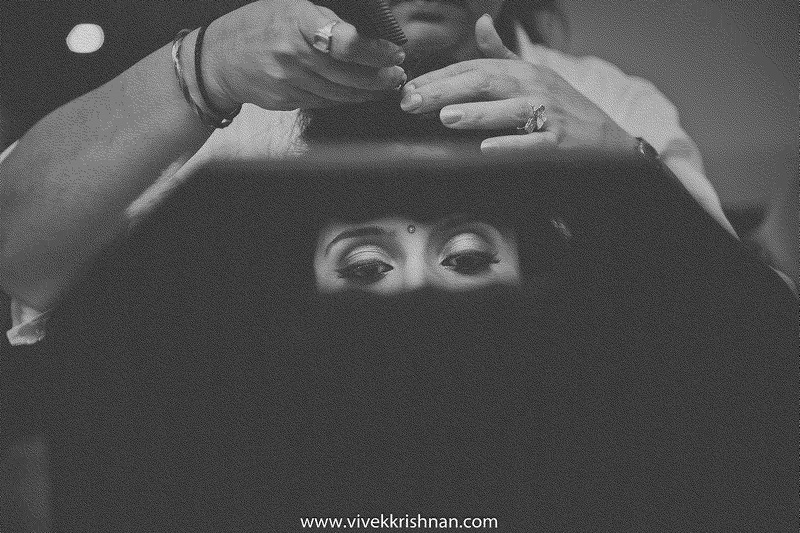 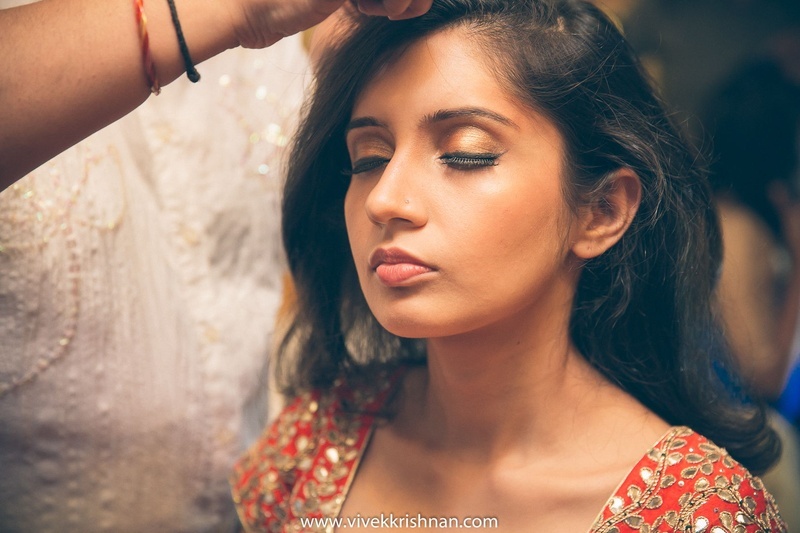 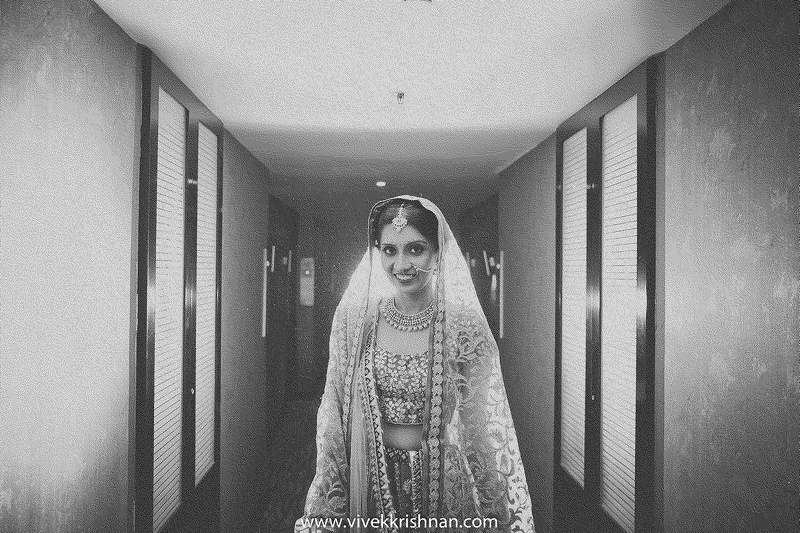 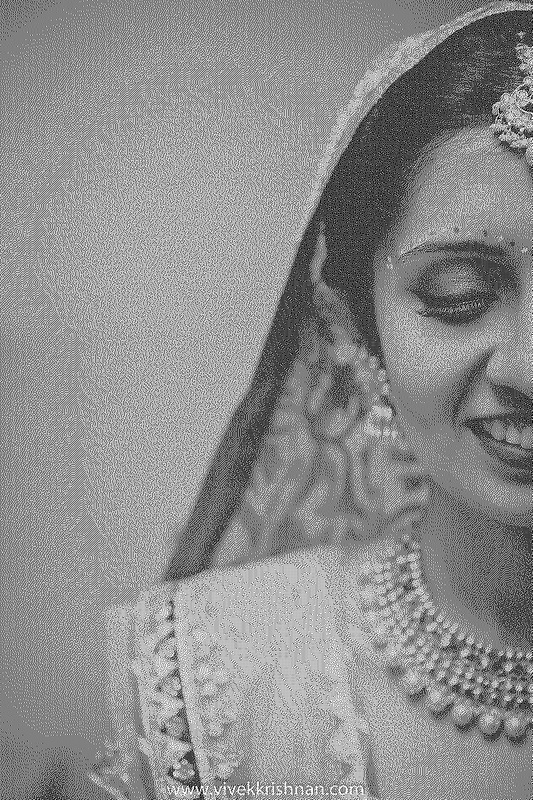 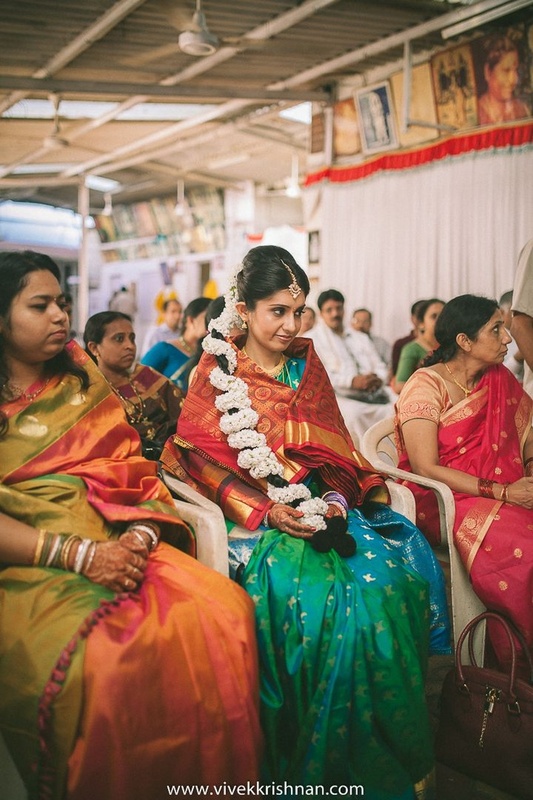 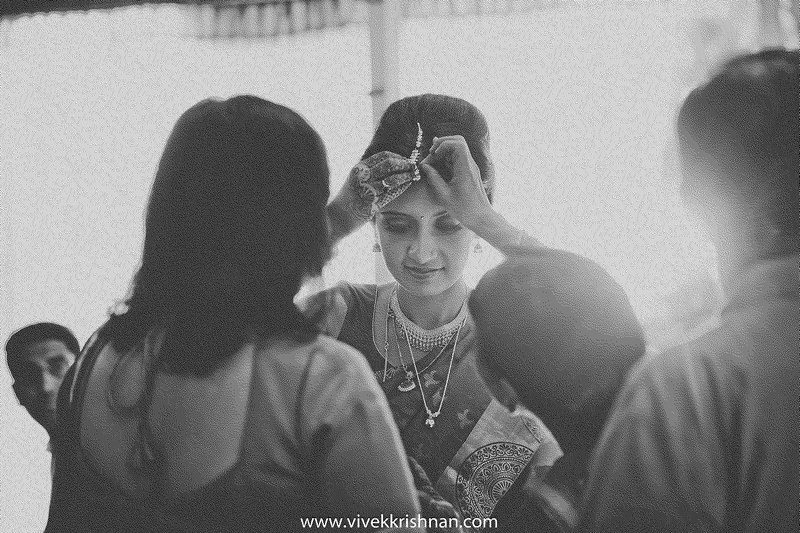 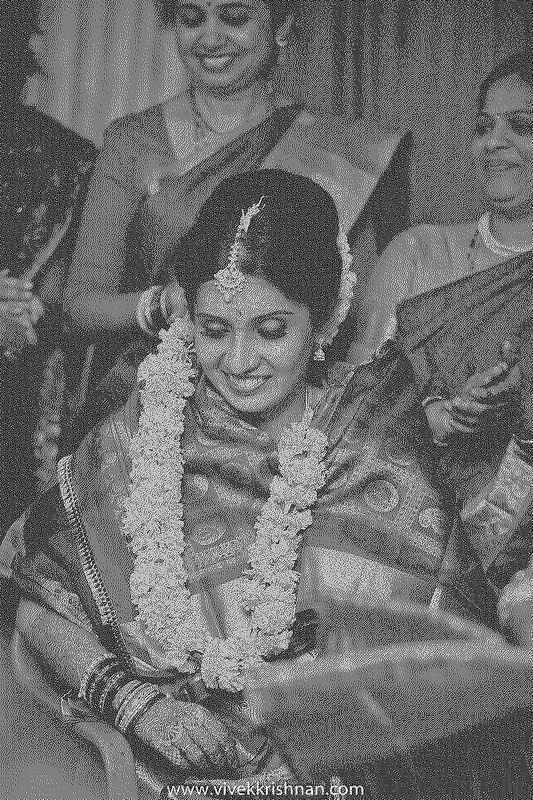 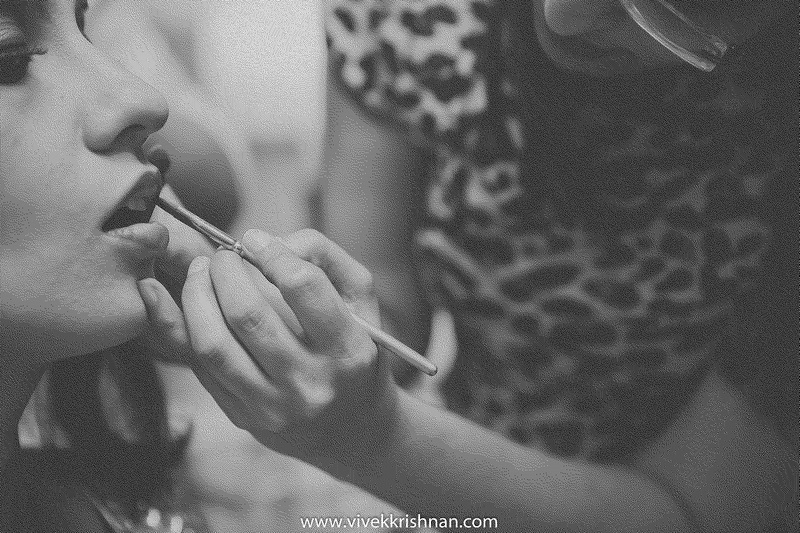 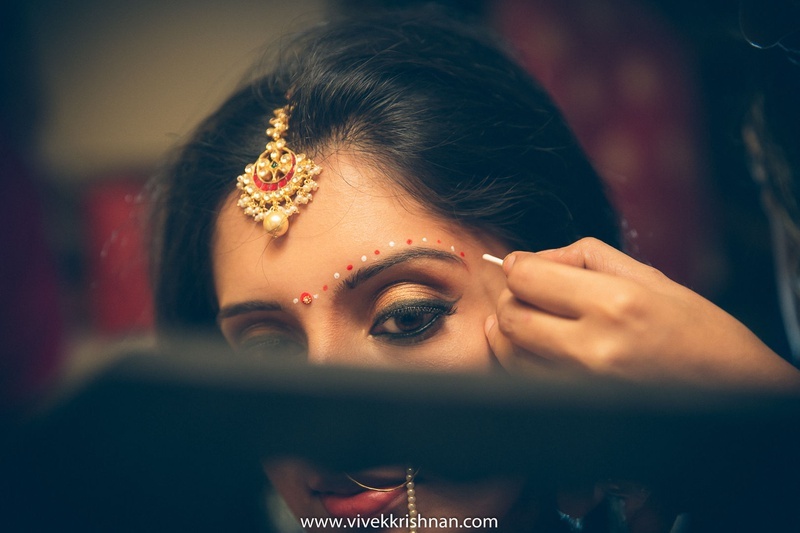 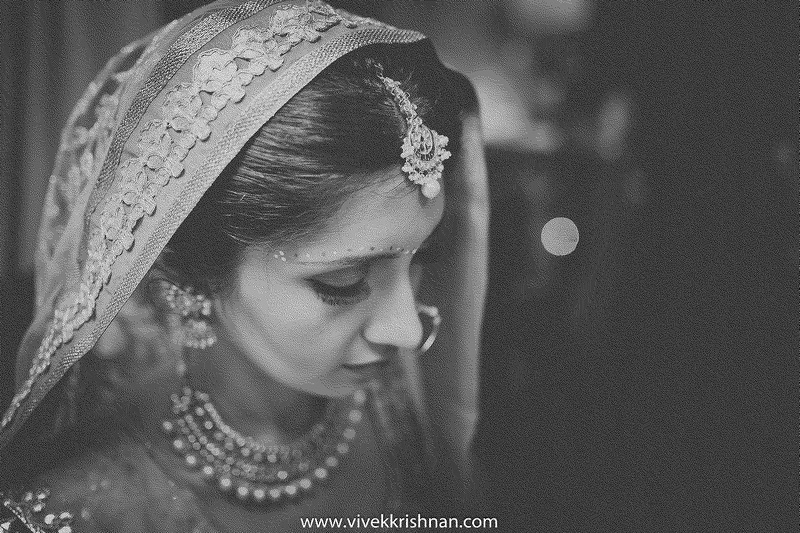 A beautiful bride who kept it minimal yet bold, whether it was her attire or her make-up. 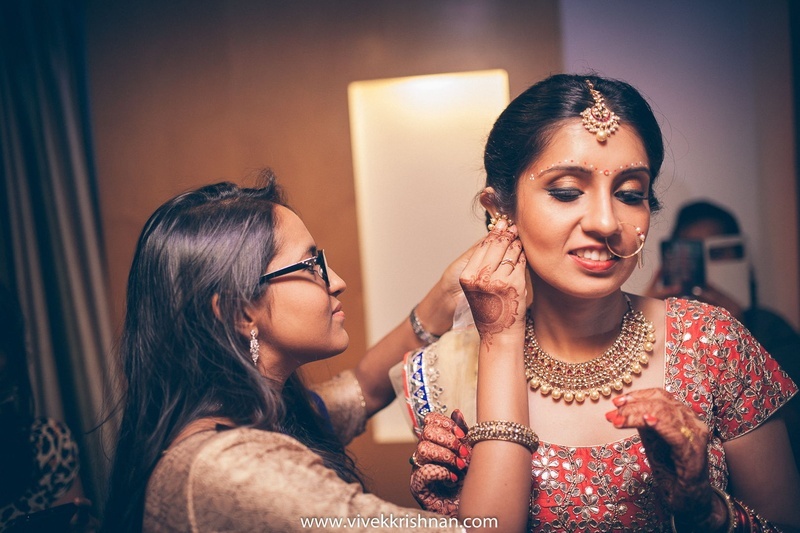 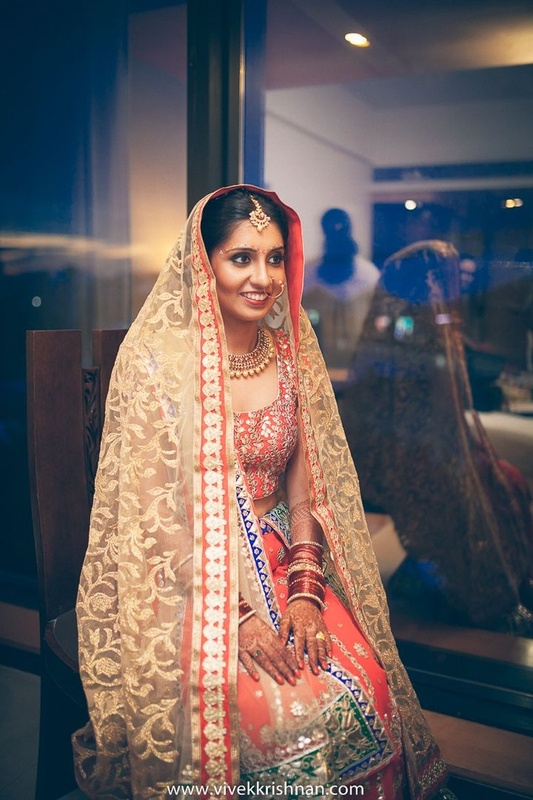 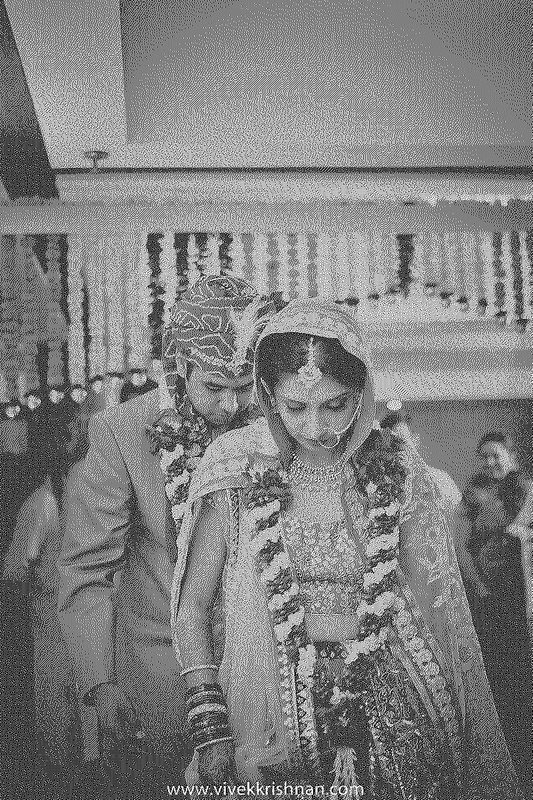 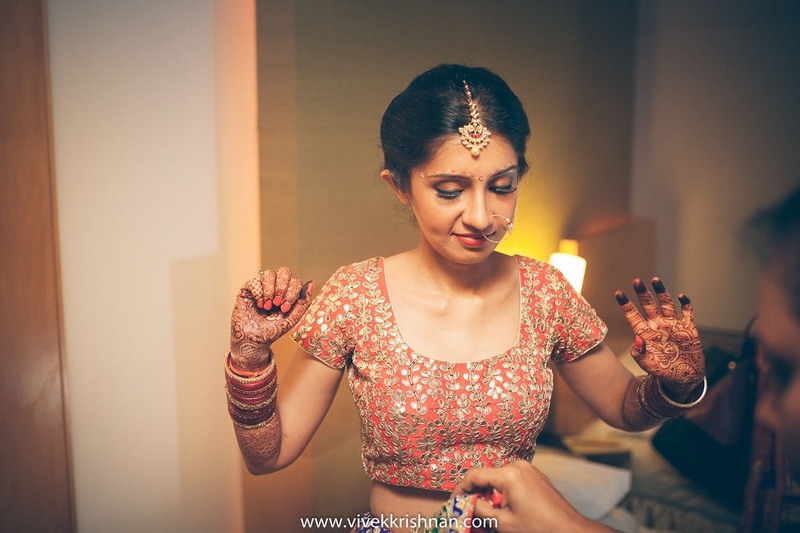 Her entire ensemble spoke of elegance and beauty, not leaving behind the essence of a true Indian bride. 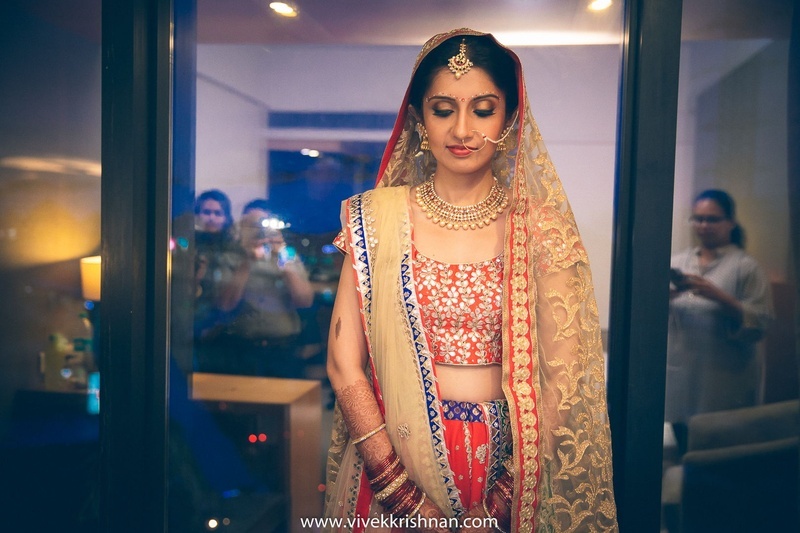 Her gorgeous orange and navy-blue lehenga fully embellished with intricate gota patti, and the sheer beige bridal dupatta adorned with shimmery gold sequins had our jaws dropped right to the floor! 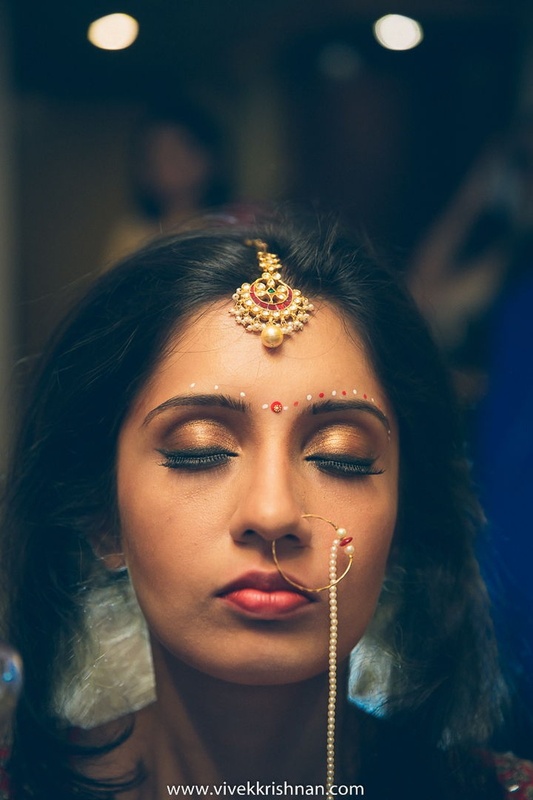 Her chaandballi-styled maangtikka studded with red gemstones and the bronze eye-shadow on to her expressive eyes complemented her entire ensemble just right. 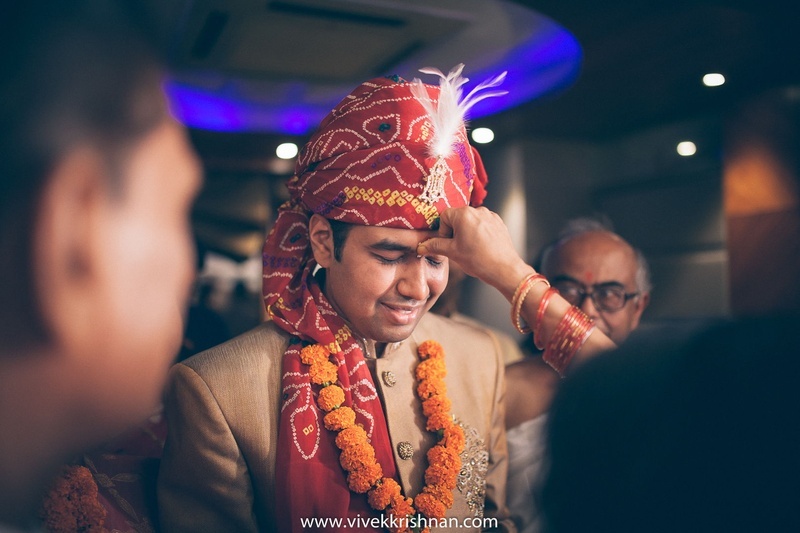 Her handsome groom kept up to speed in his textured beige sherwani which he paired with a red bandhini safa. 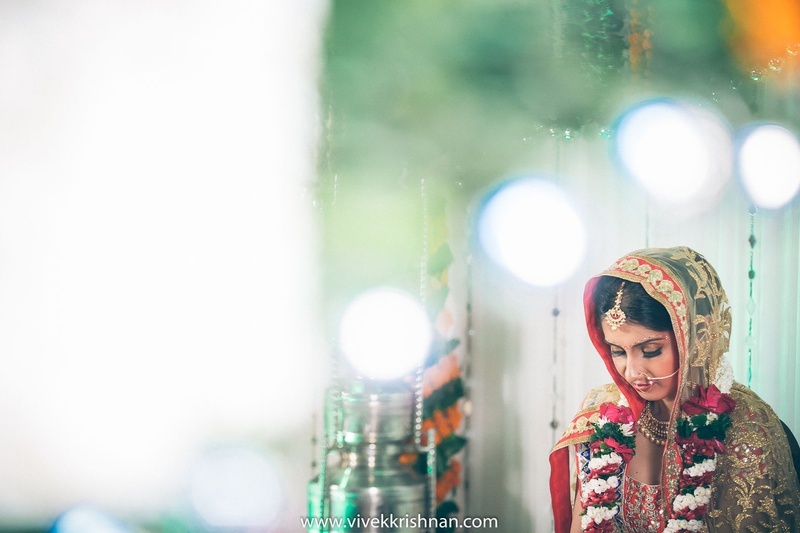 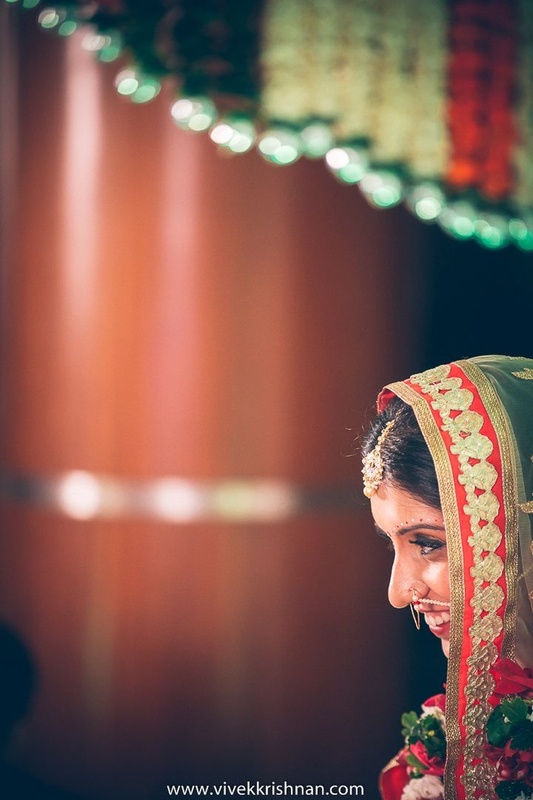 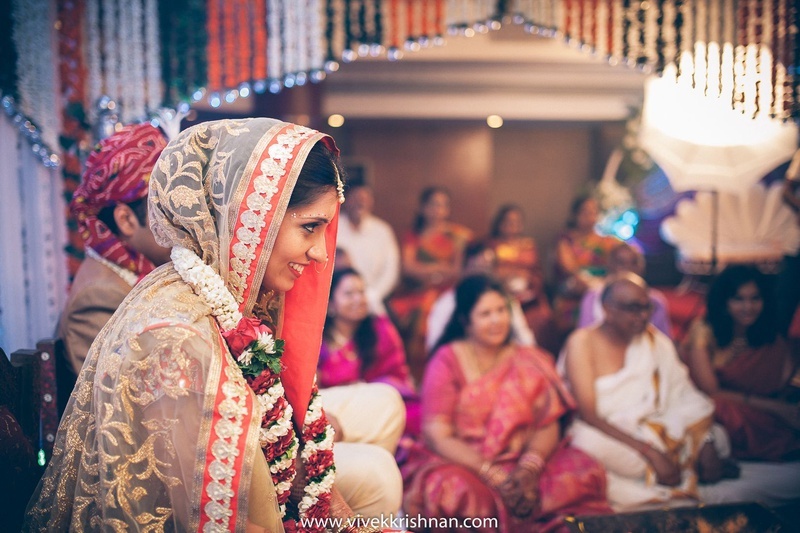 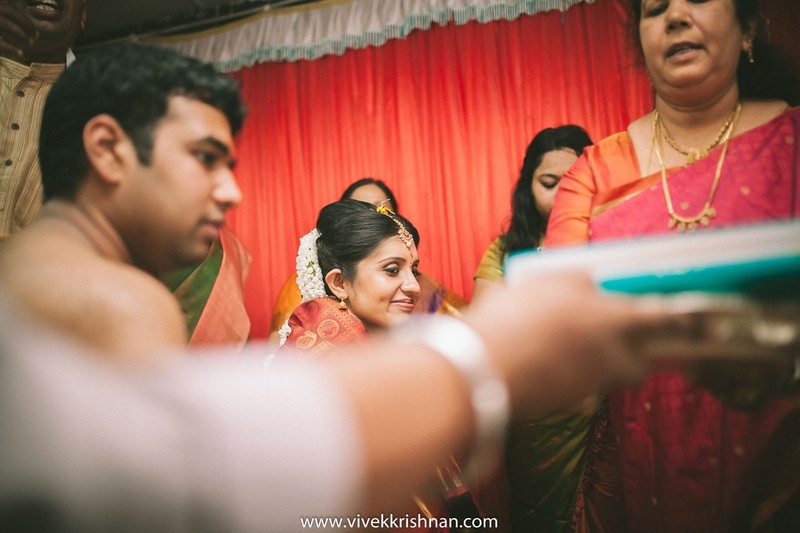 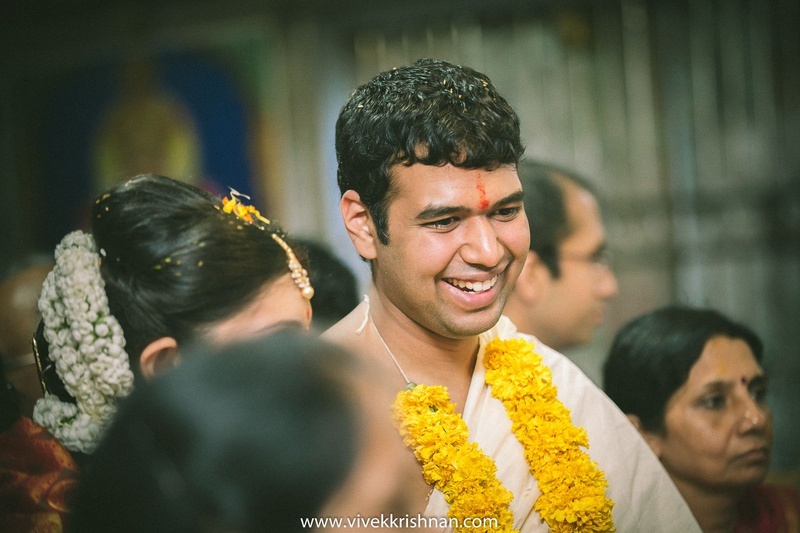 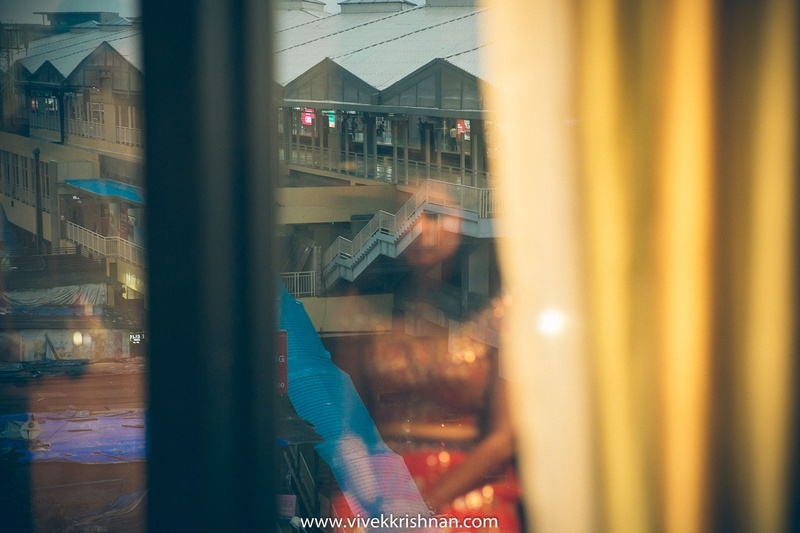 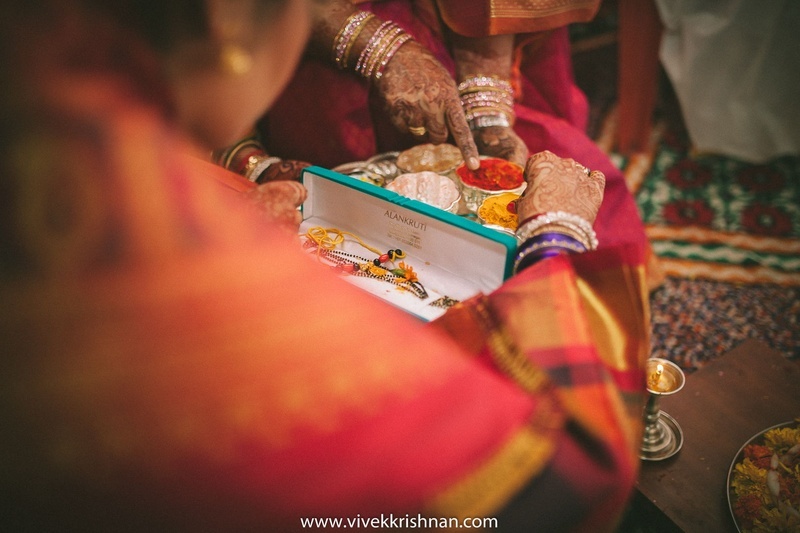 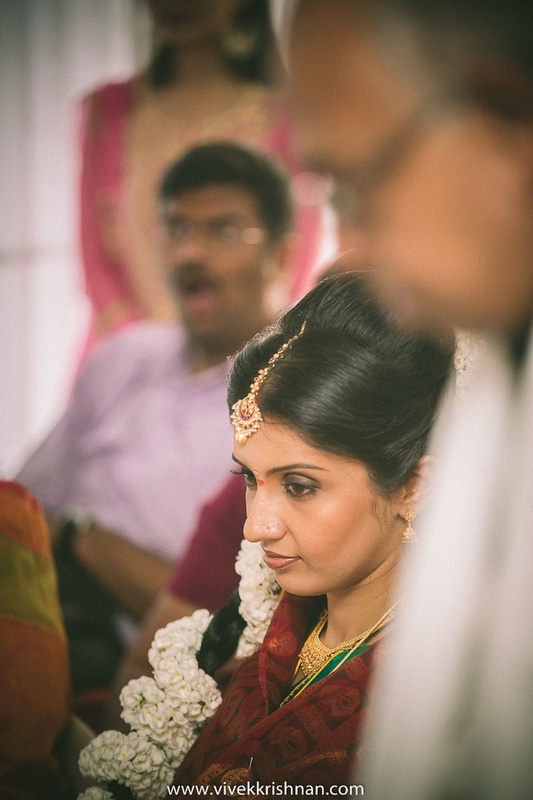 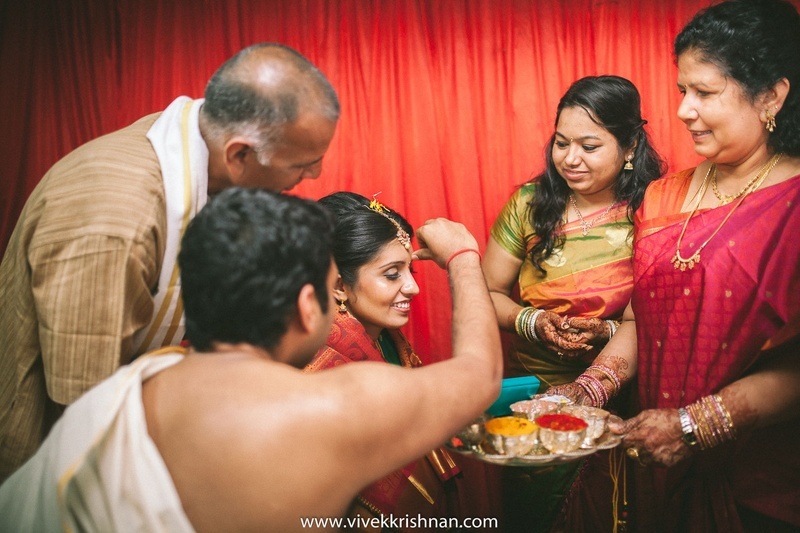 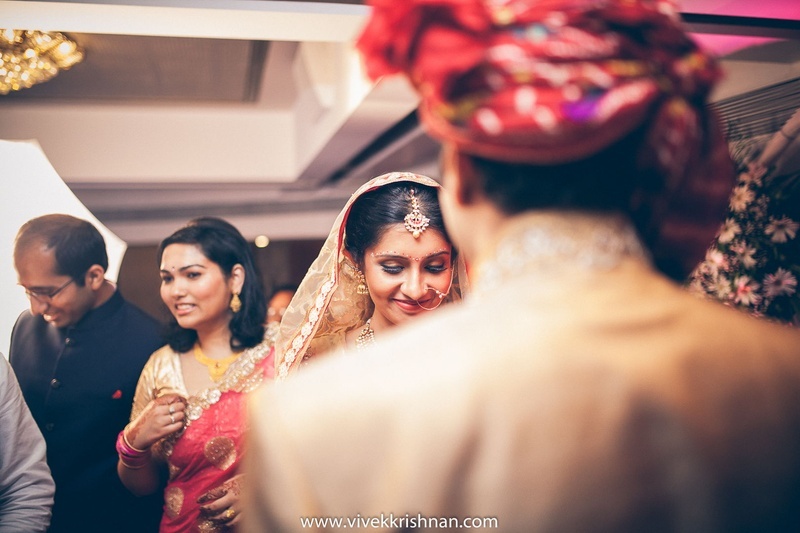 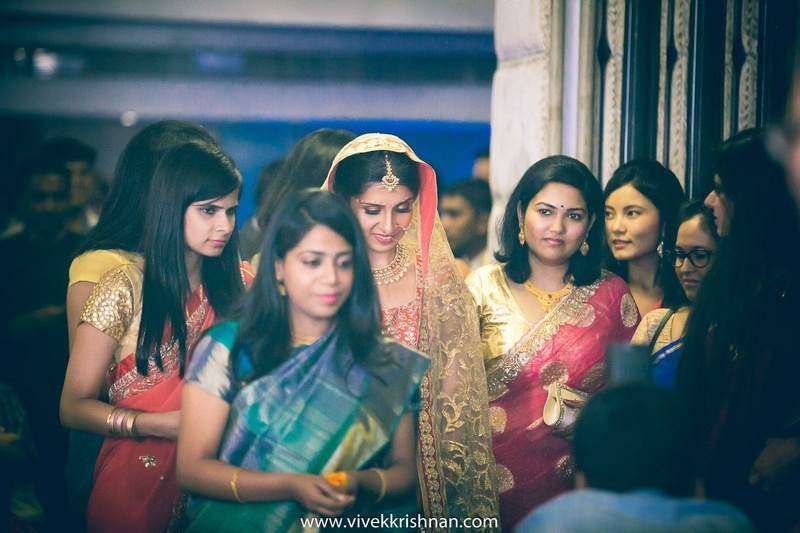 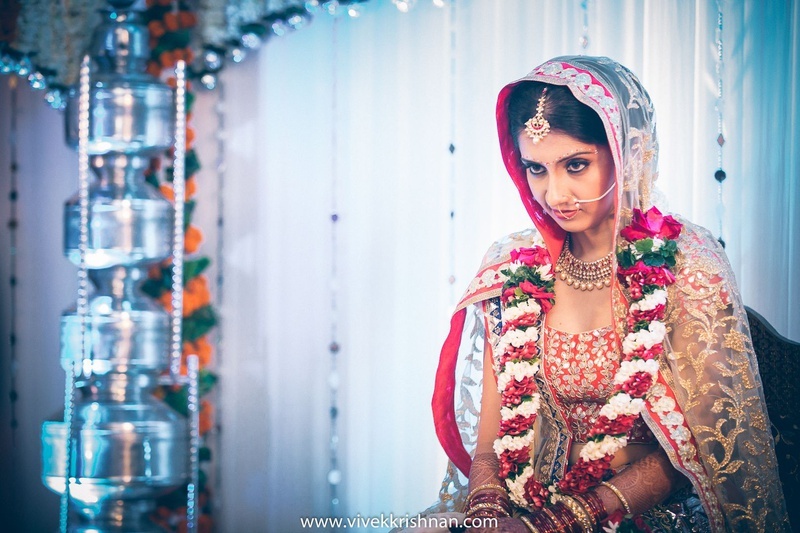 The team at Vivek Krishnan Photography shot every moment from Vatsala and Adithya’s marriage just flawlessly! 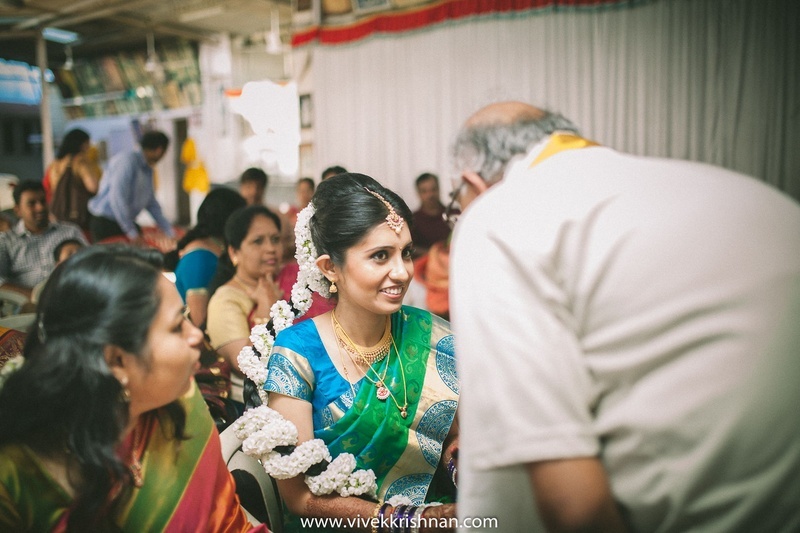 The candid moments between the father-of-the-bride and his beloved daughter, the stolen gazes of the bride and the groom, and many such lovely moments were captured for posterity with precision and style – Take a look right here!